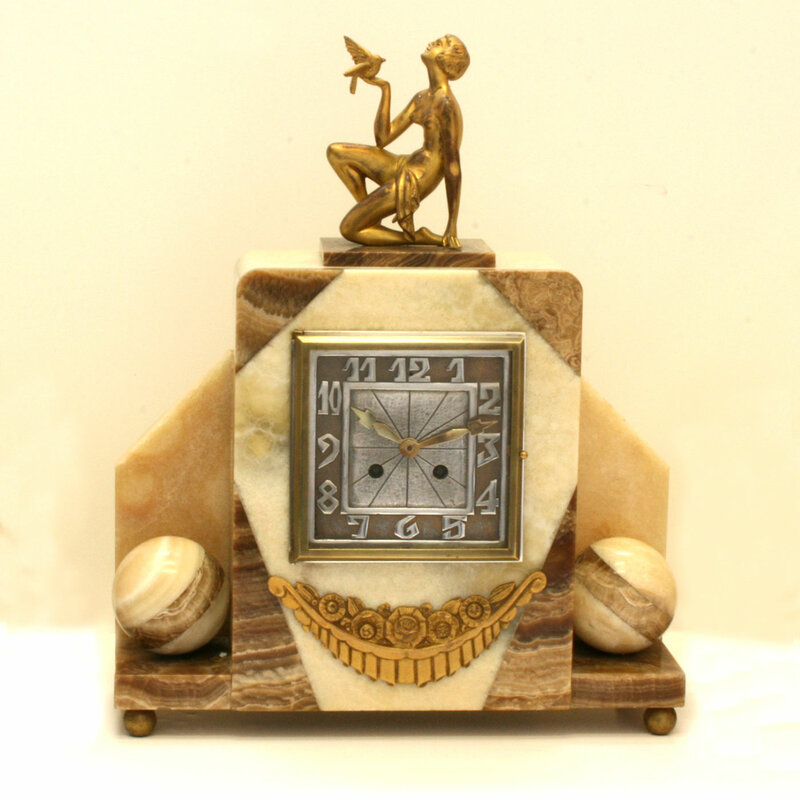 French Art Deco clock from the 1920’s. Product code: 1597 Categories: Sold Items, Sold Watches. Here is a clock so typical of the Art Deco period of the 1920’s with wonderful angular shapes and set with the beautiful lady on the top who is just so stunning. 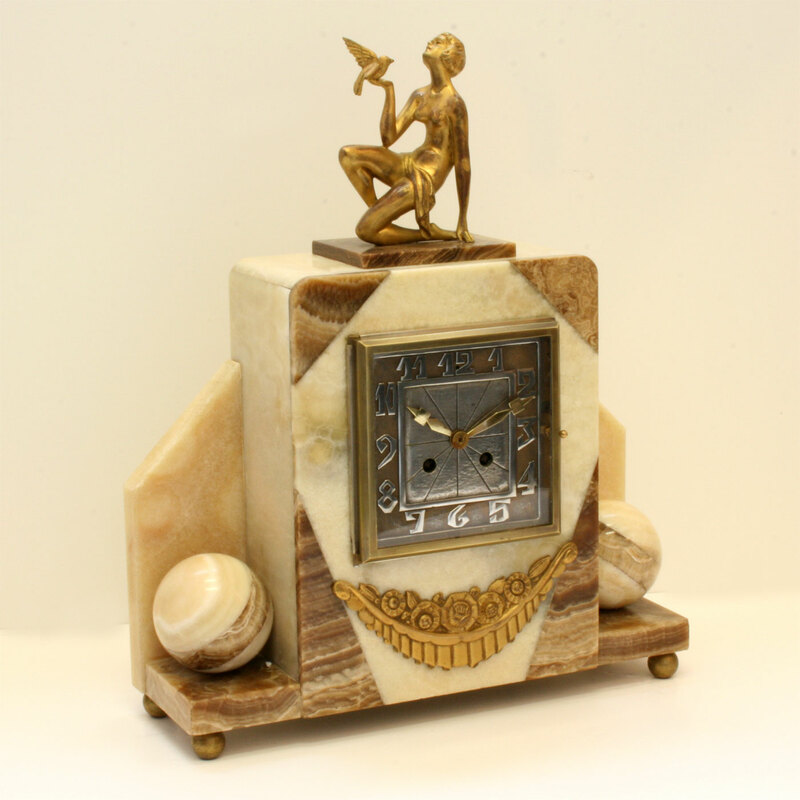 The clock is made from wonderful marble in contrasting colours, and makingthis clock even more special, it has the original garnitures which are so hard to find complete with the clock. The clock measures 34cm (w) by 42cm (h) by 12cm (d), and the garnitures 12cm (w) by 18cm (h) by 8.5cm (d). Sitting so elegantly on a mantlepiece, this Art Deco clock strikes on the hour and half hour and has been fully serviced and runs perfectly. This Art Deco clock is so wonderful and will always be admired.